Clifford Hurvich is a Professor of Statistics and Research Professor of Information, Operations and Management Sciences at the Stern School of Business, New York University. He is also a Fellow of the American Statistical Association, and an Associate Editor of the Journal of Time Series Analysis. Professor Hurvich earned a B.A. in Mathematics from Amherst College in 1980, and a Ph.D. in Statistics from Princeton University in 1985. He is a past recipient of a National Science Foundation research grant for his work in selection of statistical models. Professor Hurvich's work spans the areas of statistical modeling, time series econometrics and forecasting. His work in the selection of statistical models resulted in a research grant from the National Science Foundation, is implemented in many of the widely available software packages, and comprises a part of the X-12 method of seasonal adjustment developed by the US Census Bureau. He is a co-author of one of the foundational papers on determining the strength of mean reversion of a time series. This methodology is useful for determining how quickly financial series, such as interest rate spreads, will revert to an equilibrium state. Professor Hurvich's recent work focuses on measuring the forecastability of stock returns and volatility. 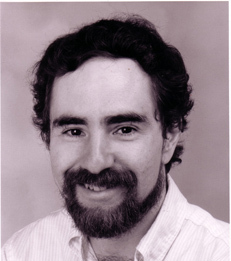 Professor Hurvich has published in a variety of journals in Statistics, Econometrics and Finance, including the Journal of Econometrics, Econometric Theory, the Journal of Financial and Quantitative Analysis, Biometrika, Stochastic Processes and their Applications, and the Journal of the American Statistical Association. He teaches Statistics in the undergraduate, M.B.A. and Ph.D. programs at the Stern School.